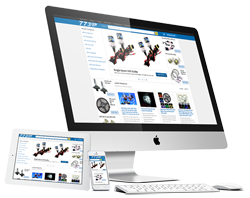 773 LED previously used eBay as its main selling platform, but wanted to streamline services, get rid of unnecessary fees and develop a customized platform for selling car products while expanding business on the web. The challenge was to create a secure eCommerce website completely from scratch and provide filtered searches so customers can find their car products with no hassle. 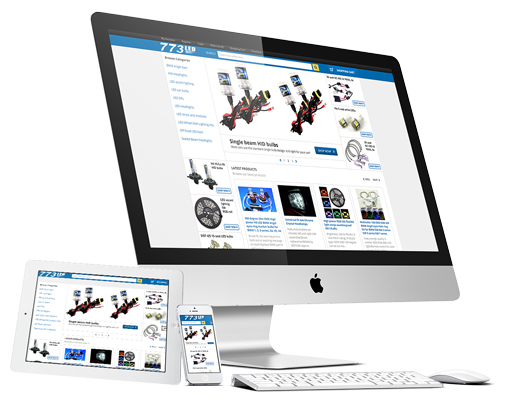 773LED.com is a mobile friendly website with modern design using OpenCart, an eCommerce solution. It is hosted on our secure 24/7 monitored server and includes an SSL certificate for safe purchasing. One of the features is the search and filter options which allows customers to find the right product by make and model of an individual car, in addition to filtering by color and price. We helped take this Chicago business to a national audience. Customers can reach and purchase from the website on any device – PC, tablet or smartphone. We created a user friendly and easy to manage eCommerce solution requiring minimal effort to maintain.